POS Portal, the nation’s leading distributor of secure payment devices, announced today that the PCI Security Standards Council has listed POS Portal as a Point-to-Point Encryption Version 2 Key Injection Facility. As a component provider, POS Portal provides logistics and distribution of Secure Payment Devices, this new validation means that POS Portal can now offer Solution Providers an immediate way to streamline their operations and help their merchant clients to achieve PCI DSS compliance. With two Key Injection Facilities, POS Portal deploys devices direct to businesses nationwide. POS Portal’s successful completion of their P2PE assessment underscores its commitment to strong security requirements as they pertain to payment device hardware including hardware encryption, chain of custody controls, and Hardware Security Module (HSM) key management. Included on PCI SSC’s list as a Key Injection Facility, POS Portal is a P2PE Component Provider whose services can be used by P2PE Solution Providers. This P2PE validation means that POS Portal can now offer the first market-ready solution of its kind. Coalfire was POS Portal’s P2PE assessor, and performed the assessment per the extensive and rigorous P2PE requirements. Designed to meet the needs of every organization regardless of size, Coalfire’s services address all PCI DSS requirements, including security management, policies, procedures, network architecture, software design and other critical protective measures. “POS Portal has demonstrated remarkable attention to detail and clearly shown their commitment to device security and control” said Tim Winston, Coalfire PCI P2PE Product Director. POS Portal has already begun working with leading Solution Providers to help speed up delivery of P2PE devices direct to merchants. 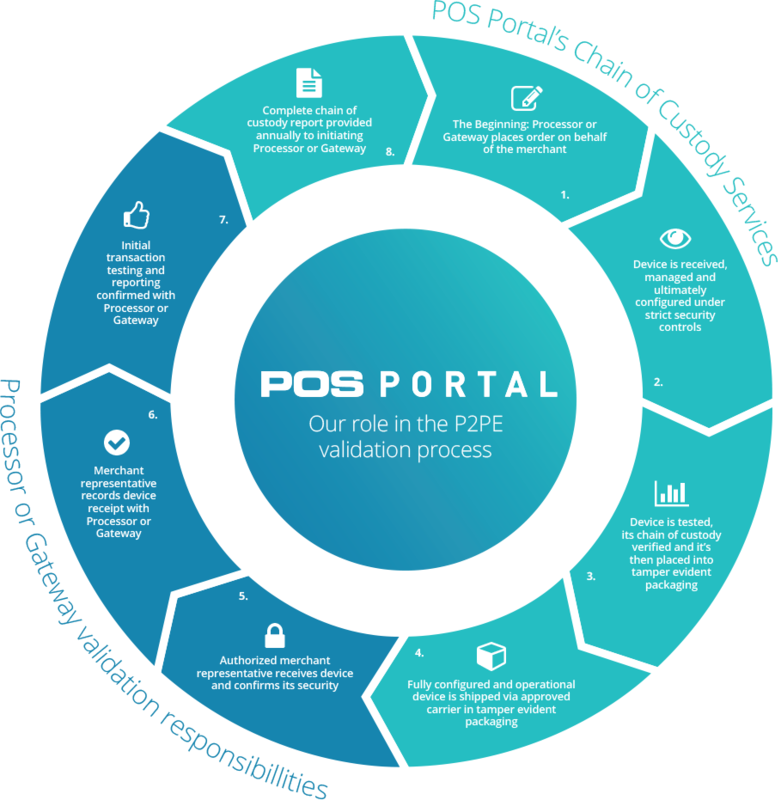 With the listing of its key injection facilities by the PCI Security Standards Council, POS Portal offers a streamlined, cost-effective way for potential P2PE Solution Providers to integrate POS Portal’s services into their solution and in turn reduce assessment scope for merchants. As PCI Security Standards Council Participating Organization, POS Portal helps to improve payment data security worldwide through the ongoing development of the PCI Security Standards, including the Payment Card Industry Data Security Standard (PCI DSS), PIN Transaction Security (PTS) requirements and the Payment Application Data Security Standard (PA-DSS). For a complete listing of P2PE Component Providers, visit the PCI Security Standards Council website. The PCI Security Standards Council is a global forum that is responsible for the development, management, education, and awareness of the PCI Data Security Standard (PCI DSS) and other standards that increase payment data security. Founded in 2006 by the major payment card brands American Express, Discover, JCB International, MasterCard and Visa Inc., the Council has over 750 Participating Organizations representing merchants, banks, processors and vendors worldwide. To learn more about playing a part in securing payment card data globally, please visit pcisecuritystandards.org.